Big Data Growth Mind-blowing Fact | Why is Everyone talking about it? Before talking about Big Data and Big data growth, it is necessary to have knowledge of the DIKW pyramid. Before the boom of the concept of big data, we used to deal with traditional data and the picture of data in our mind today is more or less traditional. It brings to our mind an image of a table with rows and columns and links and so on as stored data. This is also called structured data in the database management system. It is easy to store, easy to deal with and easy to process to obtain the required information. But think of the information that Facebook has. It can guess the people who might be your friends, the groups or pages you might be interested in. It can even identify where you are in a picture. Now, how is that possible? Which table with rows and columns can help Facebook guess who you are in a picture? This kind of data analysis was not possible with the traditional approach. This gave rise to Big Data Growth. What is the reason behind Big Data Growth? 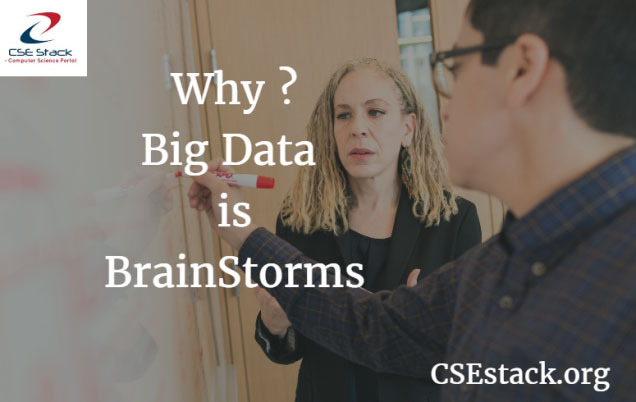 Big data is so called because of the massive volume of data continuously being generated in this globally interconnected world. Every picture you upload, every text you publish, every blog you write, everything on the internet adds up to this volume of data. Data is truly big. Out of this huge volume of data, there is around 33% of data that can give us extremely useful information. But how much data do we actually process for information? We process less than 1% of it. That is how huge the data is. The more we process data, the more information we get and gives wing to Big data growth. Data has gone from something static and stationary to something fluid and dynamic. The data flow today. Organizations collect data from a variety of sources leading to large volumes of data as discussed above. Data is created at a huge speed every second and real-time analysis of data is needed to extract the information in a timely manner. Data varies from traditional structured data in files to unstructured data like images, videos etc. Things that always have been informational but have never been in data format. For e.g. : Researchers in Tokyo have used pressure sensors with a car seat to create an anti-theft design. If anyone parts from the driver seat, he isn’t given access to drive the car unless he validates his authorization sing a password. This can also be used to create information about postures and realize when the driver is driving carelessly and predict a car accident. Now we have changed the problem given to the computer with big data growth. We tell the computer to understand data and learn things instead of telling them how to do it. The more the computer analyses this big data, the more fruitful are the results. This is implemented everywhere, in voice recognition, search engines, amazon’s personalized services and so on. This concept is called machine learning and it is not possible without big data and data analytics. Big data growth is expected to create a revolution in the coming times. It gives the computer the power to do things that humans cannot do. It may also lead to a huge concern of privacy as well as may steal the jobs of white-collar professionals like Industrial revolution did to the blue collar professionals. Heena Rajpal is pursuing Computer Science Engineering from Indore. She has a knack for writing and an inquisitive outlook towards Computer Science fields like Database Management Systems, Object Oriented Programming and languages like C, C++, JAVA, Python, HTML etc.